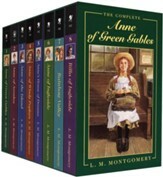 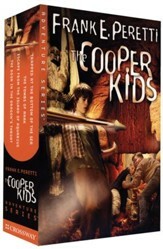 A deluxe Boxcar bookcase that contains 12 titlesThe Boxcar Children Mysteries #1 through #12. 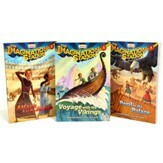 Also included are Boxcar activities, poster, and accordion bookmark with title checklist. 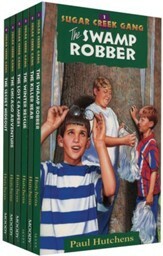 The bookcase can expand to hold up to 32 books. 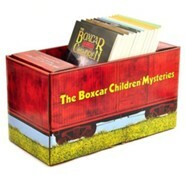 I'm the author/artist and I want to review The Boxcar Children Mysteries, Volumes 1-12 - in Boxcar Bookcase.